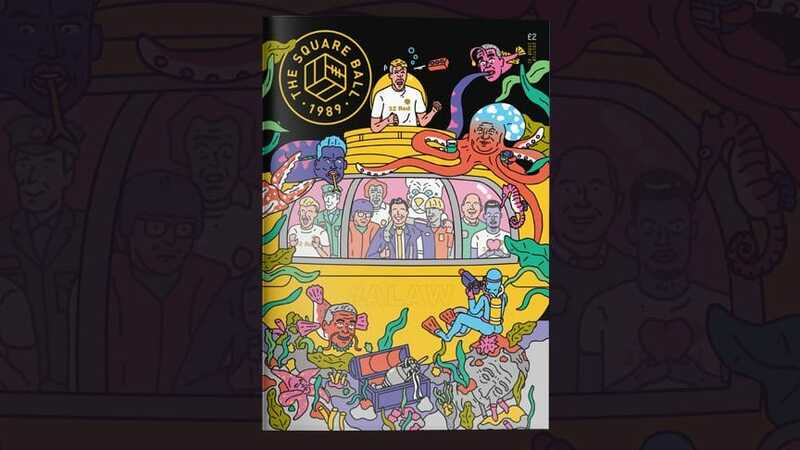 The first issue of The Square Ball’s twenty-eighth season is available to buy now online, or from one of our friendly sellers outside Elland Road before the games against Preston and Fulham. It’s never too late to subscribe and get all ten issues this season. For a pound a month digital subscribers get a pdf version, all new articles online, and access to the archive; for £2.50 a month (including delivery) paper subscribers will get the mag posted out to them plus digital access. Issue 01: Editor’s Note — Welcome to our first issue of 2017/18. Issue 01: The Diary — Our review of what you might have missed on the beach this summer. Issue 01: Heroes & Villains — Who earned the right to be chaired aloft this summer, and who do we want to chuck down a well? Issue 01: Propaganda — We’re (still) not famous anymore. Living in Interesting Times by Dylan Thwaites — Throughout 2015, Dylan Thwaites, then chief executive of Leeds Fans United, was talking to the club’s then owner, Massimo Cellino, trying to convince him to let the fans buy into the club. Then, in October, Cellino agreed — and offered LFU the chance to buy the whole thing. Here, by Dylan Thwaites, is how it happened. Do First Impressions Matter? by Fiona Kyle — The live press conference was a new way to introduce a new manager. But what impact did that have on our early impressions? And has pre-season changed that? Hard Habit To Break by Andy P — For a while it looked like Garry Monk was the man who would break Leeds United’s Championship habit. What happened? Living The Dream by Jon Howe — Dreams are different now to what they were when Ridsdale was in charge, and buying Elland Road back is part of a dream coming true. Central Intelligence by Calum Archibald — The middle of midfield was a problem for Garry Monk, but at the new-look Leeds United, the new head coach has brand new options. Forgiven or Forgotten? by David Guile — While Bellusci was booed away from Guiseley, they’re putting up posters of Doukara at Elland Road. Who can predict a Leeds fan’s forgiveness? Aspirational Culture by Moscowhite — Leeds United are now owned by a man with his focus firmly on the future. But our past has taught us to be sure we can see the full picture — from the BVI to Monaco, from Spain to Qatar. Whose Pre-Season is it Anyway? by Steven York — A professional, businesslike, well-run football club enters pre-season. Who wins? Not Leeds United much. Still Going Round by Riley Brettell — It’s hard enough to know what’s going on with Leeds United sometimes, but harder still when you’re on the other side of the world. Changes Are No Good by David Finnemore — It’s been a summer of big changes at Leeds United, which is great. But what if they don’t work? Arrivederci Marco by Fiona Kyle — When Marco Silvestri left the club in July, he left a mixed legacy of wonder saves and horror blunders, a family that made the city their home and a red mark on his back. It’s time to reflect on his three years at Leeds. Preseason Plan B by Dale Holt, Técnica Football Education — This preseason, Thomas Christiansen has had the chance to make the plans Garry Monk didn’t have. All Leeds Perspective by Jon Mackenzie — There’s more to Leeds United than promotion. In Search of Lost Temps: 100 Loans Part 1 by Rob Conlon & Wayne Gamble — Back in March 2011, TSB published a centre spread by Wayne Gamble of The Beaten Generation, bringing all 54 of the players Leeds United had signed on loan since 2004 together in one handy graphical guide — 54 players who played for Leeds (well, most of them) who weren’t even ours.